V&V develops, supply and install optimal climate systems for specific crops with the needed climatological conditions. Sources such as geo thermal, biomass, CHP and solar energy, efficiently engineered for the best solution concerning return on investment and sustainability. 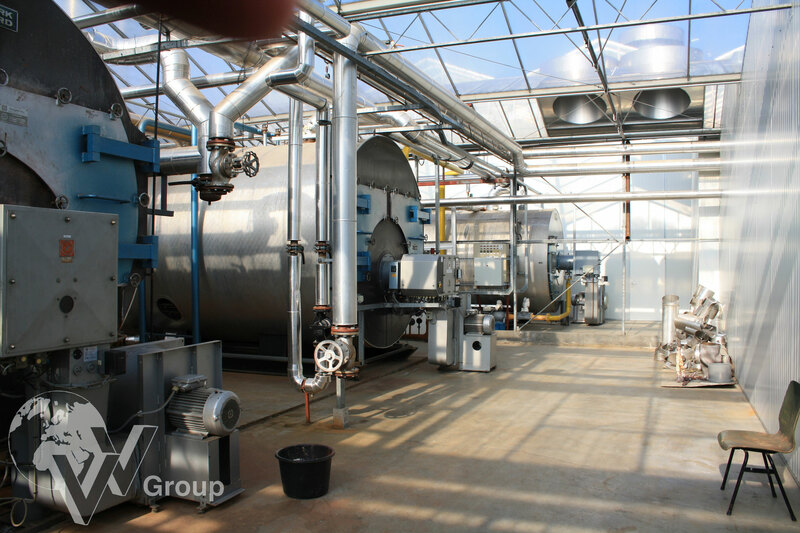 We can supply Heating systems with cogeneration, state-of-the-art boilers, heat buffering systems, CO2 mixing, expansion systems, water treatment systems, and many other components to create the perfect heating system.Greenhouses can use a variety of heating systems,including piped rails, cultivation tubes, monorails, and heating systems integrated in internal transport systems. The Active Ventilation System for active ventilation and dehumidification with minimum energy use. 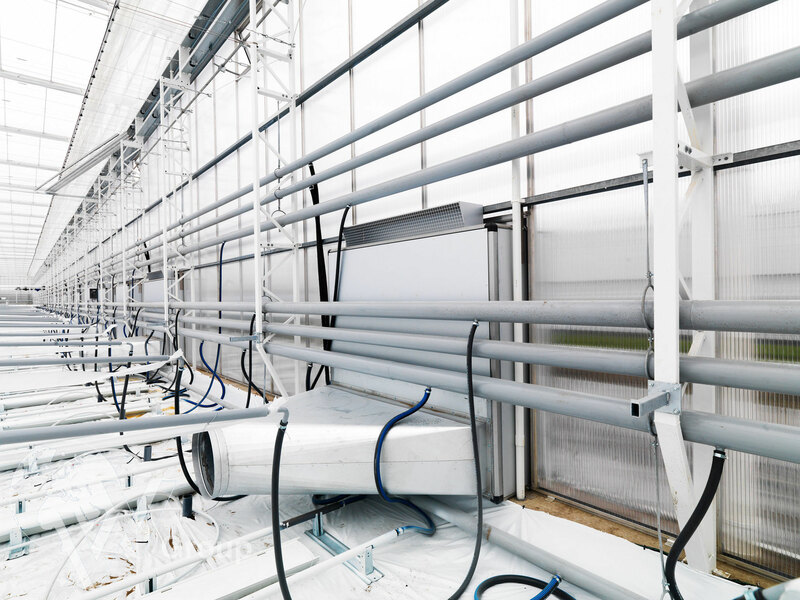 Because of the extra emphasis that is being put on sustainability and energy savings, conditioned cultivation is playing an increasingly more important role in modern greenhouse horticulture. Actively ventilating your greenhouse air with relatively dry outdoor air is a new and simple application for this purpose. Because the outdoor air contains less moisture than the air in the greenhouse, the greenhouse is dehumidified by blowing outdoor air into it. 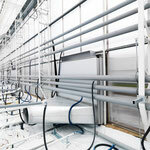 Pad & Fan system is usually installed for the purpose of cooling greenhouses. This system is effective with hot dry conditions therefore it is also known as desert cooling. 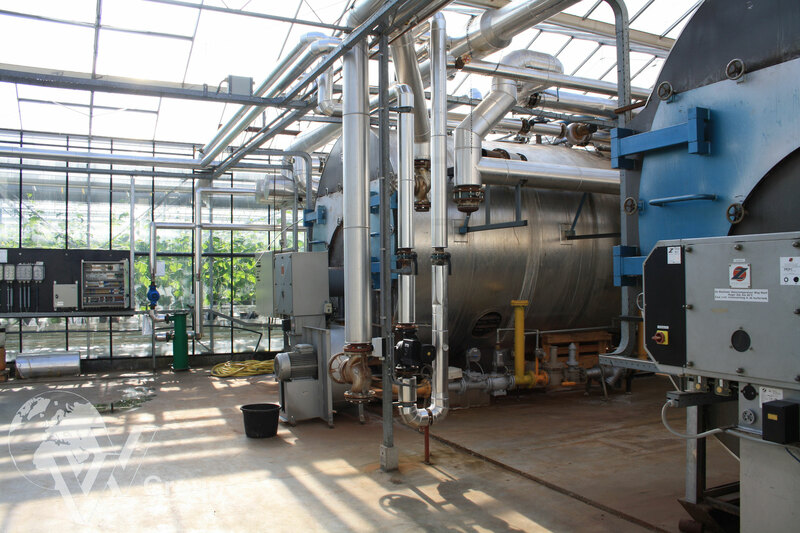 The system is based on installing evaporative pads on one side and suction fans on the opposite side. On the pads there is a water distribution line wetting the pads completely. The evaporation of water from the pad wall causes dropping in the air temperature in addition to humidifying this air. The result is cool humid climate in the greenhouse. Water or air cooling machines allows you to gear the climate and the relative humidity entirely to your needs. 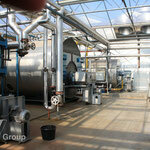 Each crop has its own requirements in terms of air and water cooling. 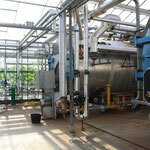 Cooling machines in particular use a great deal of electricity. It is therefore sensible to begin by determining the requirements of your particular crop and how you can meet them in the most energy efficient manner.